1st Eagle Mortgage is a full-service mortgage company, working closely with current and prospective property owners in the Chicagoland area to create tailor-made mortgages to meet their needs. We work with a multitude of lenders to match you with the right loan, whether you’re a first-time homebuyer, upgrading to larger home, downsizing, refinancing, or a commercial property owner. Our focus is on you, the customer. We understand that every customer’s situation is unique, and our staff of experienced loan officers considers all aspects of your financial life to customize the right mortgage program for you. 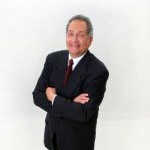 With decades of experience in the mortgage industry, Herb prides himself in providing his clients with personal service that is second to none. Herb’s approach is to always put himself in his client’s shoes and to treat them like family. Herb knows how to conduct high-powered business with Midwest class. Prior to opening 1st Eagle Mortgage, Herb worked as a grocery distributor at A1 Foods in Phoenix, Arizona, a marketer and distributor for GD Searle, and in distribution for Armour & Company. Before that, Herb held positions as a plant engineer at Victor Chemical, and researcher at Desoto Chemical Coatings. Herb earned his Bachelor’s in Chemical Engineering at Illinois Institute of Technology and his M.B.A. from University of Chicago. Herb enjoys biking (not in the winter), travel, and family time with his four grandchildren. Diane brings 30 years of experience and unparalleled expertise to 1st Eagle Mortgage. She has a passion for and specialty in helping first-time buyers, long-time owners, or seniors, with Conventional, VA and FHA loans, including Reverse Mortgages. Dennis boasts 30 years of experience in real estate, and he strives to provide clients with the optimal mortgage loan program. Previously, Dennis ran his own real estate development company and served as a Senior Vice President with John Hancock Real Estate Finance. Dennis earned his Bachelor’s and Master’s degrees in Architecture with distinction from the University of Michigan, and his M.B.A. from the University of Chicago. John has over 25 years in the financial services industry, first with Morgan Stanley and then with American Trust Investment Services. John attended Northwestern University and completed his studies with a Bachelor’s in Finance. Frank’s customer-first approach allows him to provide customized solutions for clients. He works with property owners by understanding their short and long-term goals and securing mortgage options that best fits their needs. Prior to working at 1st Eagle, Frank worked in the retail floral industry for 40 years. Frank is a motorcycle enthusiast and loves to play guitar. Shawn is an experienced loan officer who helps guide clients through every step of the lending process, ensuring they making the right decisions addressing long and short term financial goals, at the lowest overall cost. Pam has 26 years of experience processing loans for her clients. She helps clients move from point A to Z, performing initial appraisals, assessing credit standings of applicants, and finally evaluating their loan program eligibility. Pam earned her bachelor’s in Accounting from Western Missouri University and her Bachelor’s in Business Administration from American Intercontinental University. She has a passion for rescuing and fostering dogs, as well as for motorcycles. Barbara has a bachelor’s from Concordia University, Chicago. Her early employment included work in the field of education and later as a library assistant. 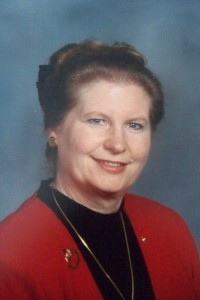 She enjoys supporting family activities, church programs, reviewing family genealogy, and travel with her husband, Al.